Is Amazon relying more on robots than temp staff this season? E-commerce giant Amazon is planning to hire fewer seasonal workers this holiday shopping period as the online retailer relies increasingly on automation, an internet analyst said. Amazon is expected to enlist 100,000 temporary workers this year, which is 20,000 less than the figures for 2016 and 2017, according to Citi analyst Mark May. This is the first time the retailer is reducing the number of seasonal hires, but the move ties in “very closely with the use of robots and automation within their facilities,” said May, appearing on CNBC’s Squawk Alley. 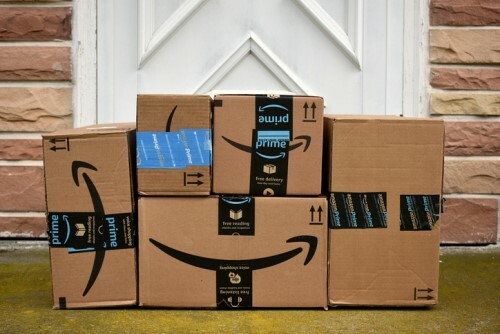 These advanced tech solutions, which were first implemented a few years ago, are now making Amazon “more efficient”, the analyst said. A Quartz report in 2016 claimed a single Amazon warehouse robot could sort, carry, pack, and ship items in 15 minutes – these tasks purportedly took about an hour for a human worker to complete. “We’ve seen an acceleration in the use of robots within their fulfilment centers and that has corresponded with fewer and fewer workers that they’re hiring around the holidays,” said May. The number of temp staff may be lower this year, but Amazon said it is focusing on hiring full-time staff at its fulfilment centres and other facilities. “It’s a myth that automation replaces jobs and destroys net job growth,” Ashley Robinson, a representative of Amazon, told Quartz. “Our teams work alongside more than 100,000 robots at over 26 fulfilment centres worldwide and we are excited to continue increasing the technology we use at our sites while growing our global workforce,” Robinson said.